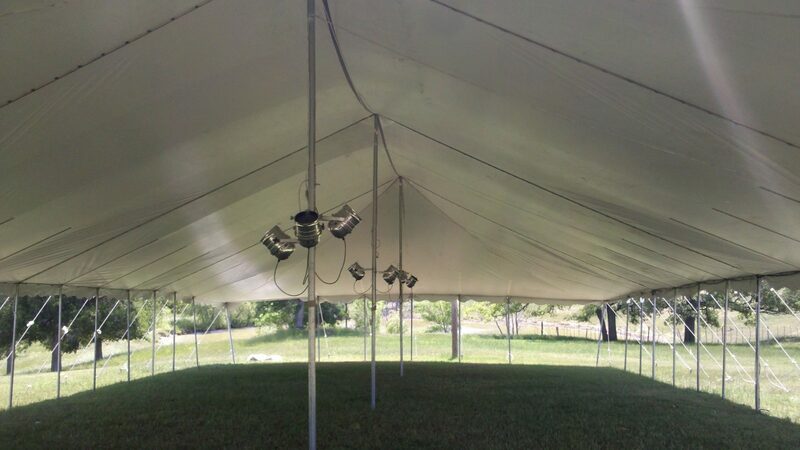 We often use the 40′ X 80′ size pole tent for wedding receptions with a guest list of around 200, a buffet meal and dancing. I’ve included a typical layout for this scenario. 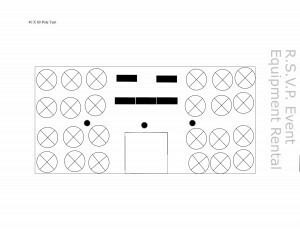 The round tables will seat 8-10, the dance floor is 15’X15′ and the rectangle tables are for food/beverage service. 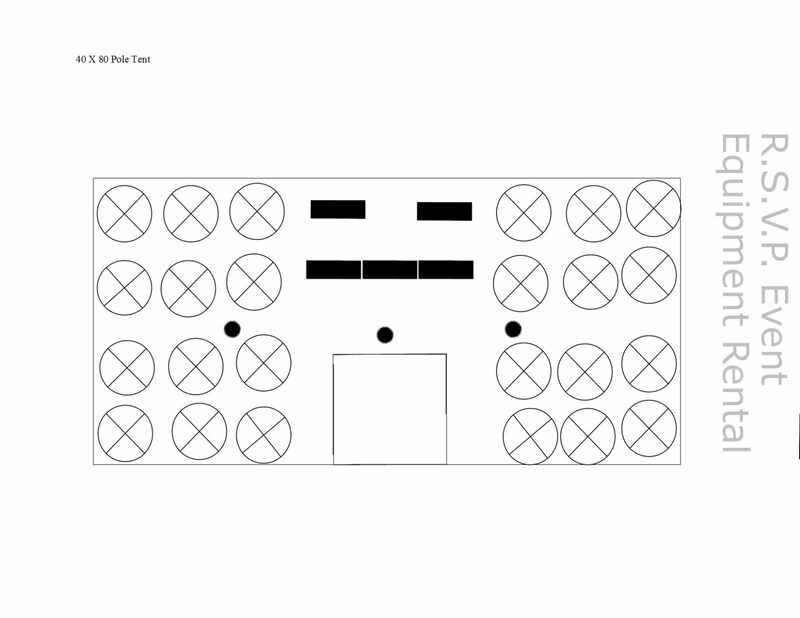 The dark dots represent tent poles. We often attach can lights to the poles and bounce the light off of the ceiling for a soft look at night. I’m including some basic pics.